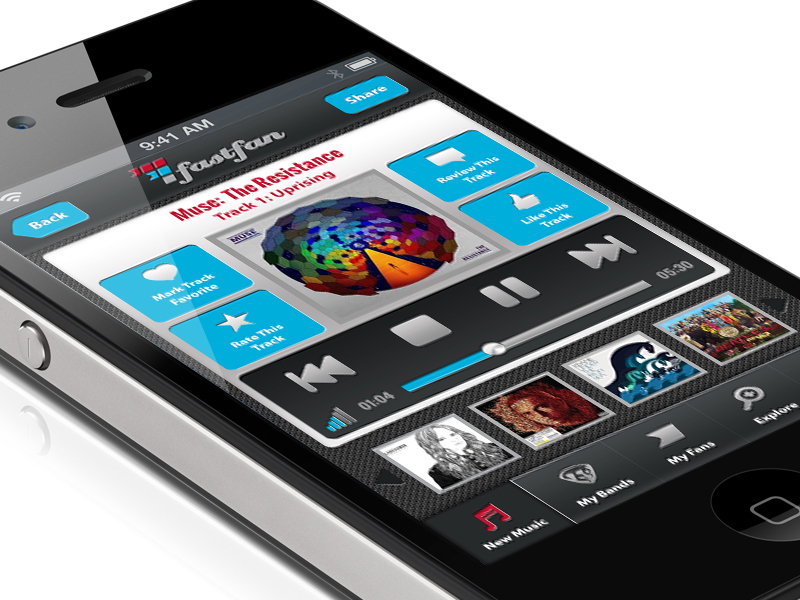 fastfan™ was a mobile app that allowed users to listen to new music, share/rate/review/favorite tracks, and compete against each other in picking who would be the top earner in the music industry each Tuesday when new music was released. You could purchase limited fastfan slots that would allow you to retain residuals from the game through promoting the artist to gain the most downloads. This startup never got to market, but the concept was really fun to work with. I designed the logo, user interface, website and supporting materials for this company.